Home Unlabelled "Extra! Extra! Learn All About It!" "Extra! Extra! Learn All About It!" Summer is a great time to recharge as a teacher. It gives us that "time" that eludes us during the school year. It's also my favorite time to teach teachers. A very important part of my job as the technology coach of our district is to provide multiple learning opportunities for our teachers in regards to the educational technologies that are available to them. I want these opportunities to be relevant and free of stress, and I also want teachers to be able to take something away that they can immediately use in their classrooms. Last summer I came up with the concept of summer tech trainings that I refer to as "The Breakfast Club." They are only an hour long and are on a variety of topics. Teachers can learn how to become a connected educator, learn how to app smash, use social media in their classrooms, to activities to do on an iPad instead of a worksheet. The Breakfast Club was a hit, but I also wanted to differentiate for our teachers to best meet their individualized learning needs. Not all learn well in a group setting, some teachers wanted a "guide by their side." 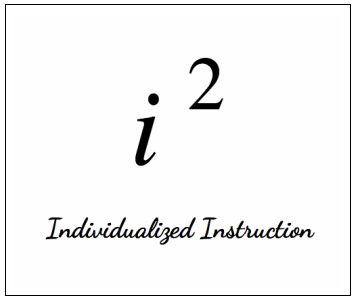 Starting this summer I will be offering a new learning opportunity called "Individualized Instruction." These trainings are tailored for the teacher in an one on one setting. They simply email me with the details of what they would like to learn about and we set up a time to meet. What are you doing to make yourself a better teacher this summer?